Inner sole: 100% vegetable tanned leather. The flexible construction of the slippers are engineered to render a barefoot feeling as close as possible, giving the best terrain feeling. 5 mm. micro-cellular rubber, flat, light- weight and flexible - appropriate for indoors. 5 mm. BEIGE Vibram® rubber - flat, light- weight and flexible, more durable and slip-resistant than micro-cellular rubber, appropriate for indoor and outdoor activities. The cost for this material is €5 more. 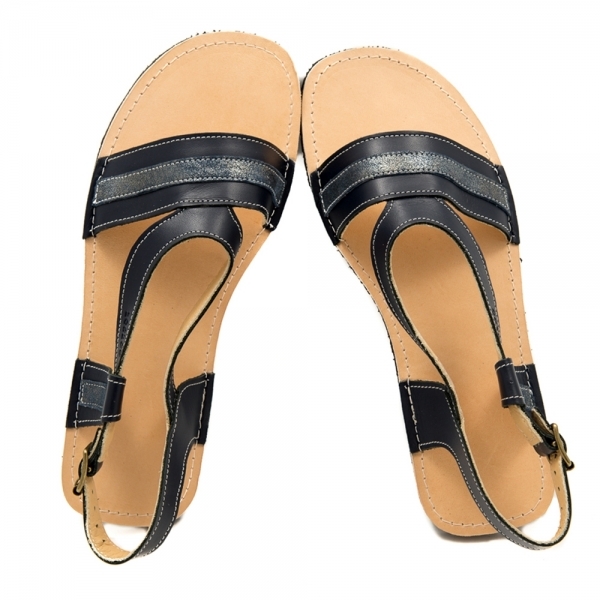 The air circulation is very good having 100% natural leather that breathes. We can make a correction in the front leather part to correct the width of the shoes with +/- 1 cm, which currently we make by hand and we charge extra €5 for making the shoes narrow and €10 for wide shoes. You can add the extra charge here.